Researchers estimate that 19.6 percent of seniors hospitalized were readmitted within 30 days of discharge, in part due to the failure to adequately attend to the care transition at discharge. Nurses have long asked how the transition from hospital to home might be handled differently. One of the first was Mary D. Naylor, PhD, RN, FAAN, a Marian S. Ware professor in gerontology at the University of Pennsylvania, who pioneered the design of a transitional care model that uses APRNs to coordinate care for high-risk older adults within and across health care settings. The model has been shown to reduce re-admissions through 12 months following hospital discharge, improve patients’ quality of life, and save money. Another model, developed by Eric Coleman, MD, MPH, professor of medicine and head of the Division of Health Care Policy and Research at the University of Colorado Anschutz Medical Campus, uses RNs and has also produced impressive results. But what about all the frail elders who do not qualify for nursing level care after hospital discharge? This is where Community Based Care Transitions Programs come to the foreground of at home care. Several ideas are in play around the country that are worthy of serious consideration and support. Each is a way that adult children of elders and elders themselves not only need to be aware of, but to get involved in right now to make sure these systems flourish just in case they need one of them themselves. The oldest Community Based Care program is called the Green House project. It was created by Bill Thomas, MD. The Wall Street Journal named the geriatrician as one of the top ten Americans shaping aging, Thomas wants traditional nursing homes dead and gone. The homes are on campuses that house up to12 people, each with his/her own bedroom and bath. Every Green House is designed to look and feel like a real home. They have open living areas where residents gather for meals and social activities. Costs are equivalent to assisted living or nursing home fees without the institutionalized feeling of facilities built over the past 40 years. The Green House idea is now 20 years old and exists or is in development in 32 states. The second idea allows neighborhood community members help take care of their frail neighbors. Examples of these second type of community based care transition programs include The Village Movement and SRAction , Sweet Relief Community Action program. Both are grassroots, primarily volunteer driven efforts that support the concept that frail elders can to live, grow and flourish as they live in homes, rather than being warehoused in nursing institutions. Armed with the fact that 27 million adults will end up in long term institutions by 2050 unless alternatives are made available, SRAction was organized and serves as the field service component of The Sweet Relief Grants program. SRAction was created to help support elders who live alone by enlisting their neighbors to pitch in and give a hand. The strategy is to take younger people (adults, not kids) who live in neighborhoods where frail elders live and train them to help provide non-medical care to their frail neighbors. Ideally, these younger people will avail themselves of the education so important to their helpful efforts proving successful rather than stressful. 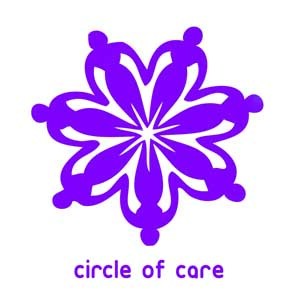 SRAction is supported by CertifiedCare.org (the caregiver certification company) through their grants fund which is funded by proceeds from program sales. CertifiedCare offers the education and certification program for Senior Care Auditors (SCAs) who make the filed work possible. 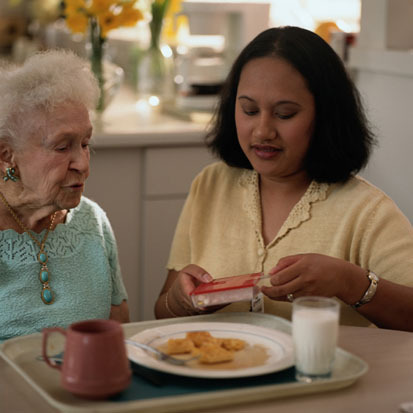 These Certified Senior Care Auditors are skilled in providing assistance to seniors who live alone and also provide reports to social service providers, children or loved ones who use SCAs to check on independent elders, when they cannot. The grants component of the SRAction program involves grants to frail elders who: 1) Live alone; 2) Provide proof of economic and physical need; 3) Are not able to access community resources due to geographic location. This program was established 5 years ago with grants having been made in the last 3 years. Elders do not have to be post release from a hospital to receive help. The Village Movement is 10 year old idea started in Beacon Hill, MA 10 years ago, the village is a grassroots, member driven organization that allows elders to help take care of others as others help them. Membership in the flagship Beacon Hill Village is open to people age 50 and over who live in Beacon Hill, Back Bay, North End, South End and surrounding neighborhoods in New Jersey. Today there are more than 125 villages with more in the planning stages throughout the US. Every Village has students offering computer skills. Adults who drive provide rides to doctors and other services to those who are no longer able to get around on their own. Volunteers are critical to offer companionship, checking on those who live alone, even making sure some take medicines properly. Senior Care Auditors and qualified volunteers are critical for these community based movements to thrive. Six hospitals in the CNJCTP region utilize both RNs and social workers as health coaches to teach self-care strategies to high-risk, chronically ill Medicare beneficiaries. The social workers attend to socioeconomic needs that may lead beneficiaries to return to the hospital. The RNs focus on beneficiaries’ symptoms and health care needs, including medication management. says Marie Perillo, RN, BSN, director of the New Jersey program and director of care coordination at the Visiting Nurse Association Health Group. Within one to three days after discharge, a coach conducts a home visit and then checks in weekly by phone for 30 days. One week after discharge, the coach helps the beneficiary get to an initial, follow-up appointment with a primary care provider. Since August 2013, more than 2,000 patients have received care through CNJCTP. Perillo says the program is on track to meet the CMS goal for reducing hospital re-admissions. Anyone who has ever been involved in a successful community movement knows they often start as revolutions to what currently exists. They also are often created as grassroots movements that take hold and grow. Taking care of our elderly with respect and love surely must be a value as critical to Americans as childhood education and clean drinking water. Community based at home care programs allow for people of all ages to get involved and make sure life will be what each of us wants when we are old ourselves. We would like to hear your thoughts and ideas on these aging concepts. Please write us about your experience or feelings about these or other programs in our community! This entry was posted in Advocacy, Care Giving Grants, Caring for a Veteran, Certified Care.org, Certified Caregiving, Dementia Caregiving, Elder Abuse and Neglect, Elder Care Goods and Services, News, Senior Care Auditing, Stories and tagged aging-in-place, assisted living aide, caregiver education and training, certifiedcare, community based care transitions programs, elder advocacy, Greenhouse Movement, independent living, senior care at home, Senior Care Auditing, Sweet Relief, Sweet Relief Community Action Program, sweet relief grants, The Village Movement, Training & Credentialing. Bookmark the permalink.